OOH FANCY THAT: .. green with envy ..
.. green with envy .. 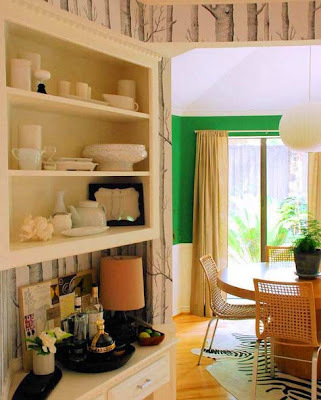 I love, love the green paint color and the whole design concept for this house (by Joslyn Talyor). So fresh, bright, and lively. The bold, black framing of the bed makes the wall look like artwork. So architecturally beautiful. 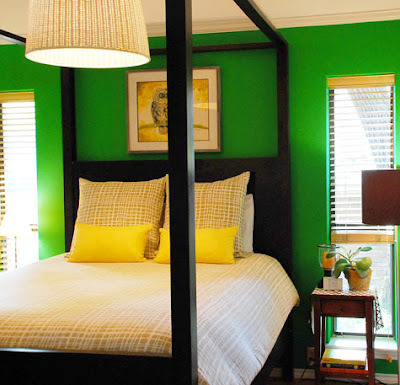 I just can't get over that kelly green with the pops of yellow. Notice the wallpaper. That's long been one of my favorites.